The VCXO2EV is available supplied either on tape and reel or packaged within trays. T&R standard pack size is 250~1000pcs and standard tray size is 128pcs per tray. Partial quantities may be supplied on tape (no reel), partial trays, or in bulk. The VCXO2EV is the ideal voltage controlled oscillator solution for harsh environments including avionics, down hole and geothermal environments. With the choice of multiple operating temperature range options, including the extreme temperature range of -10 to +210°C, the VCXO2EV offers good frequency pullability at each temperature range. The VCXO2EV also features fast start up of 5ms maximum, and excellent shock resistance up to 10,000G, and vibration tolerance up to 80G rms 10.0~2,000Hz range. 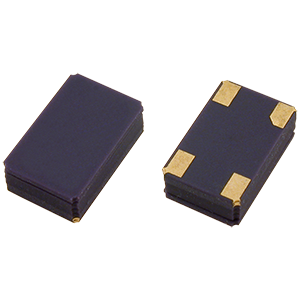 Encased within a miniature surface mount package of 3.2 x 5.0mm, the VCXO2EV requires 3.3V supply voltage and offers the choice of gold plated or tinned pads, allowing you to tailor the pad terminations to the needs of your specific application. To request a quotation for the VCXO2EV please use the configurable options form to choose the options you require and then submit your configured product to our team. Our expert advisers are always happy to help with your requirements and can be contacted on +44 1460 256 100 or at sales@golledge.com.